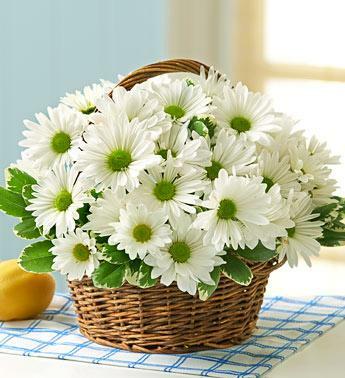 White daisies, traditional symbols of innocence and youth, bring to mind images of children happily skipping down the street with a posy of hand-picked flowers. 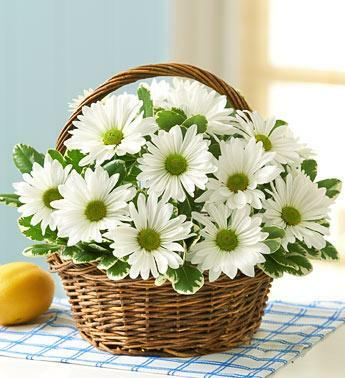 It''s the same feeling of joy your lucky recipient will get when you send this gorgeous arrangement of white daisy poms in a rustic handled basket. Perfect for brightening up any room from the kitchen to the dining room table.